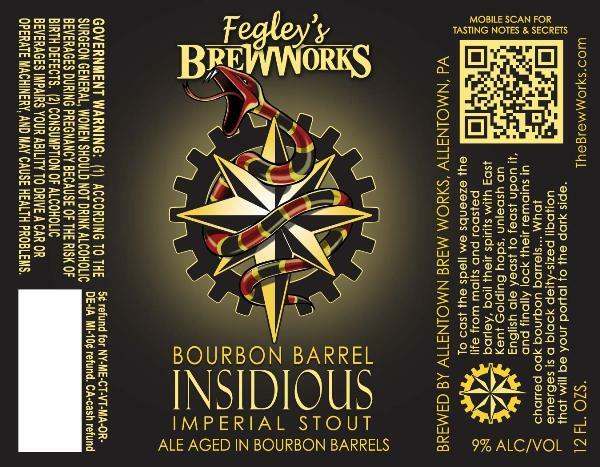 Fegley’s Brew Works recently submitted approval for a new Bourbon Barrel Insidious bottling. Last year this beer was released only in bombers with a sticker denoting the bourbon treatment and draft. This year will see 12oz bottles and a proper label for the beer. Last year’s was released around February so look for this in the coming months. In other Brew Works beer news, they’re releasing Obsidian, a black IPA at the Bethlehem location tomorrow. Next week they’ll be rolling out Warhammer, a Baltic Porter. Brew Works Allentown also recently added a weizenbock to their draft list.